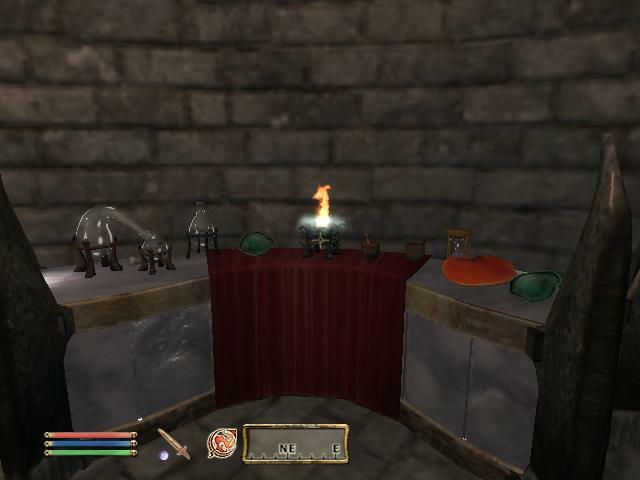 This post is about the Orrery DLC for Oblivion. Similar to the horse armour, you will receive a note after installing this plug-in. It’s from Bothiel at the Arcane University. 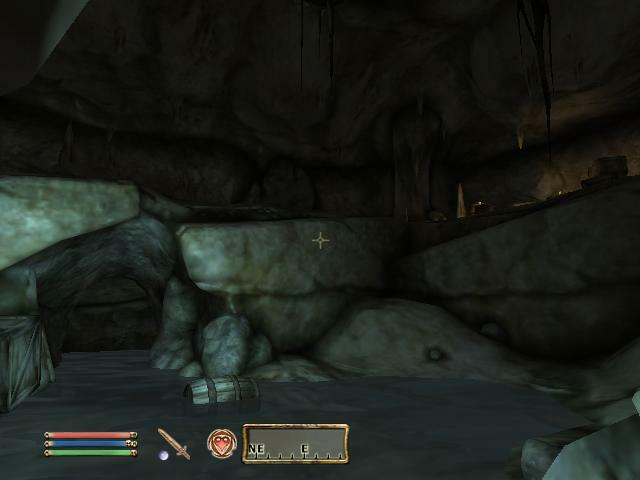 She asks for help in recovering some Dwemer artifacts that were stolen by bandits. She needs these to repair the Imperial Orrery, an ancient Dwarven machine. 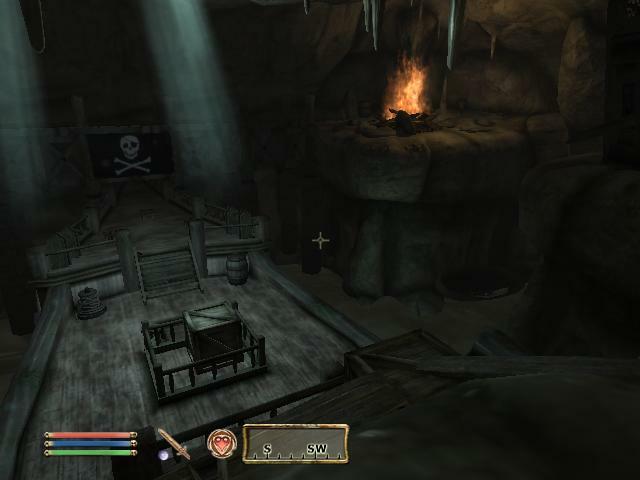 Your quest is to go to a couple of bandit camps, kill the bandits and take the artifacts. Go to Bothiel to get a levelled amount of gold. 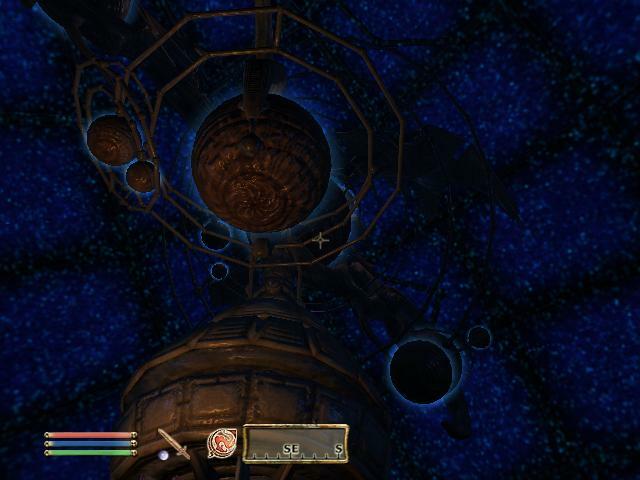 After 24 hours the Orrery will be fixed, and you can visit it to get a Greater Power. These powers are based on the cycle of the moons, so return every now and then to see if you can get a better one. Watch out for the lag, though! 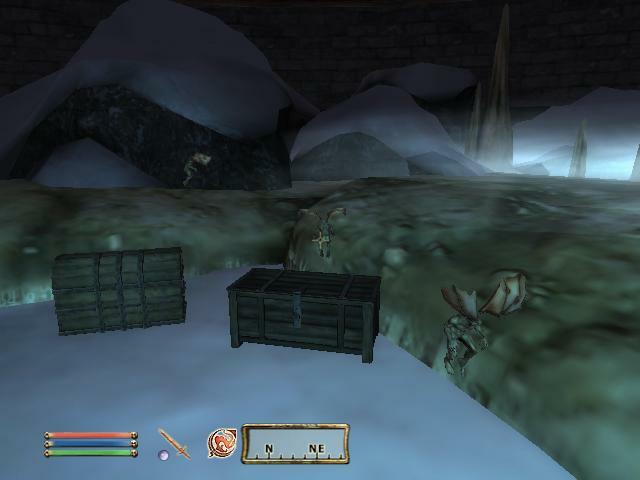 The bandit camps are all in the vanilla game, so if you’ve already found them then tracking down the bandits will be simple. But you probably won’t have, as they’re out in – very literally – the middle of nowhere. At the beginning of the quest you only know of one location – Camp Ales. 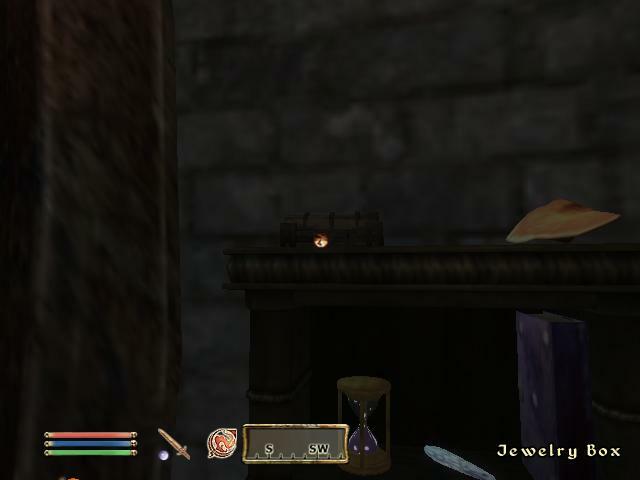 Once you find and kill the ‘bandit carrier’ there (who is well equipped with enchanted gear and higher levels), you will find the first Dwemer artifact and a note which conveniently lists the locations of the rest of the parts. These camps all contain another bandit carrier. The Greater Powers you get aren’t that bad. Greater Powers are spells that you can use once a day, with no magicka cost. 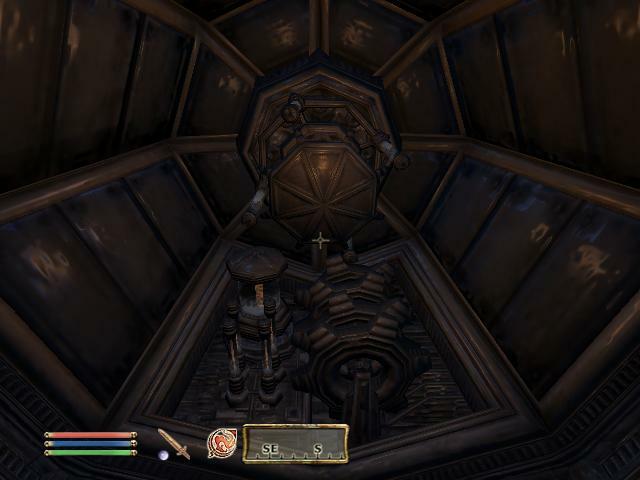 To get one from the Orrery you must activate the panel at the top of the stairs. You get a different Power depending on the cycle of the two moons, Masser and Secunda. (Another annoying error – the panel moons don’t match the real ones.) All the powers drain one attribute while boosting another, for 60 seconds. I personally never use them, but I suppose they could come in handy. You can only have one Power from the Orrery at a time. 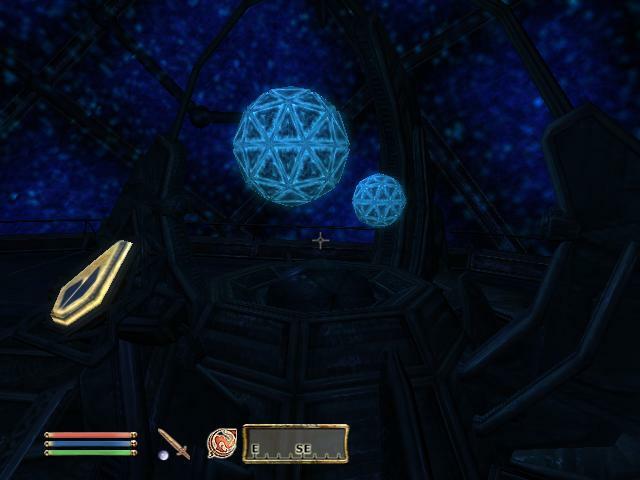 The Dwemer artifacts you need to retrieve. The Orrery Console, which gives you the Greater Powers. 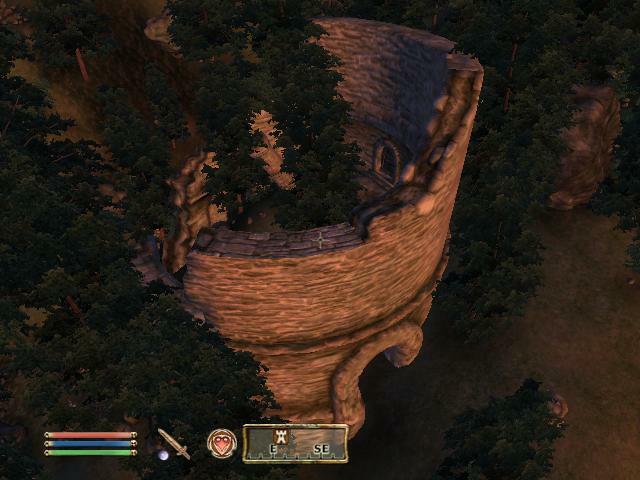 The next post will be about the Wizard’s Tower DLC. 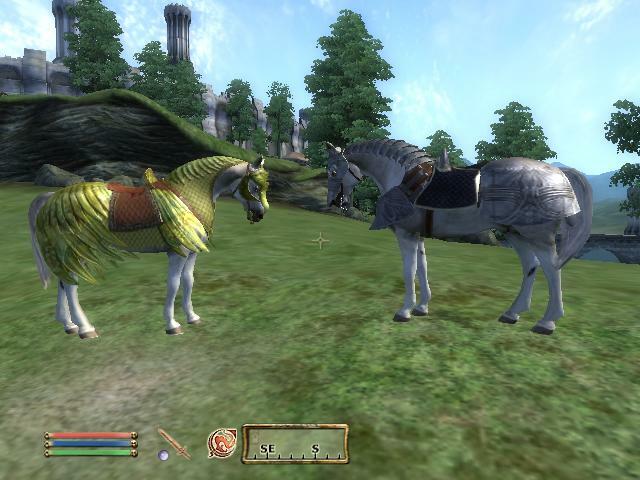 Also, remember to read my Oblivion and Horse Armour posts if you haven’t yet. Before I begin, I’d like to apologise for not writing a post in seven months. I haven’t abandoned this site, but the truth is I have nothing to blog about at the moment. 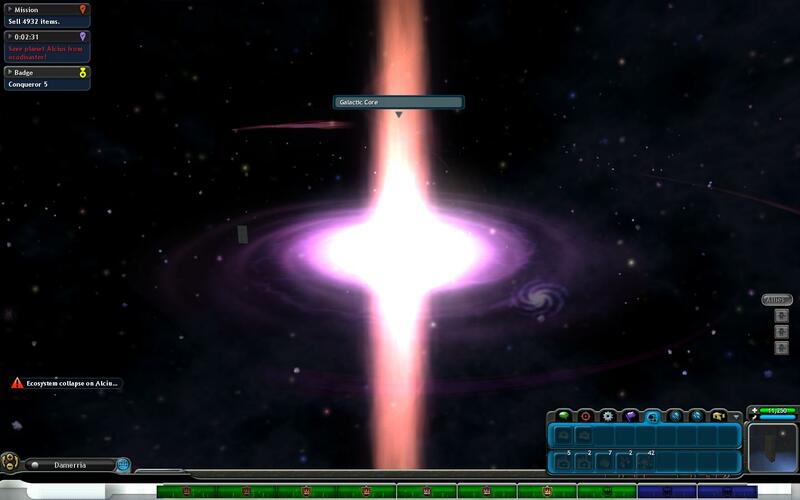 I’m finished with my Spore posts. If you’d like to keep up with me you should follow me on Twitter (my username is McLego). 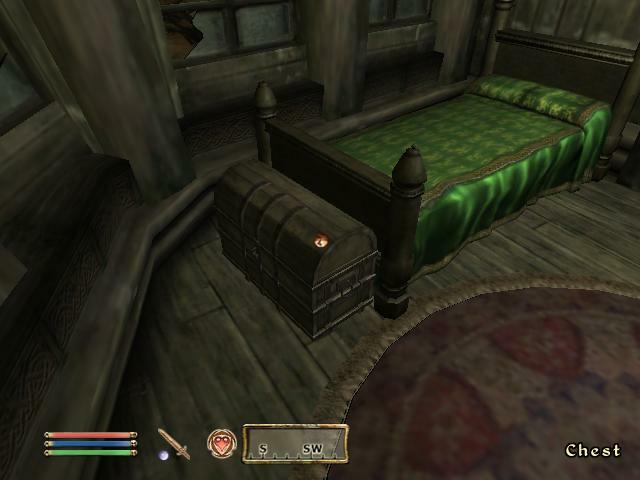 In an attempt to fix this, I’m going to write about The Elder Scrolls IV: Oblivion for a while. It won’t be a big project like the Spore posts, but hopefully I’ll get a few posts out of it. 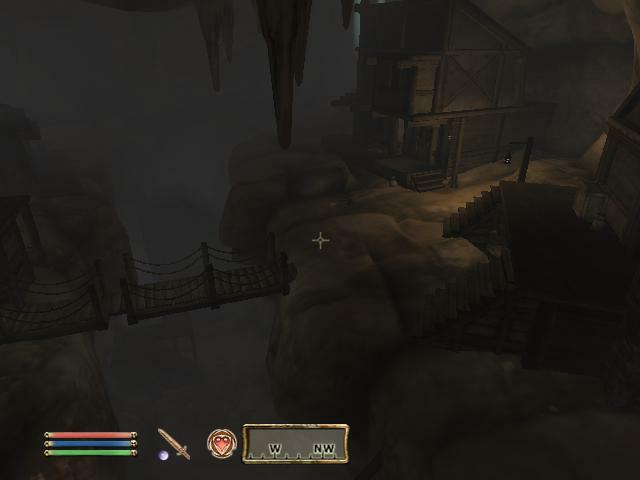 This post will introduce Oblivion, but it won’t have any screenshots at the moment (I may add some later). 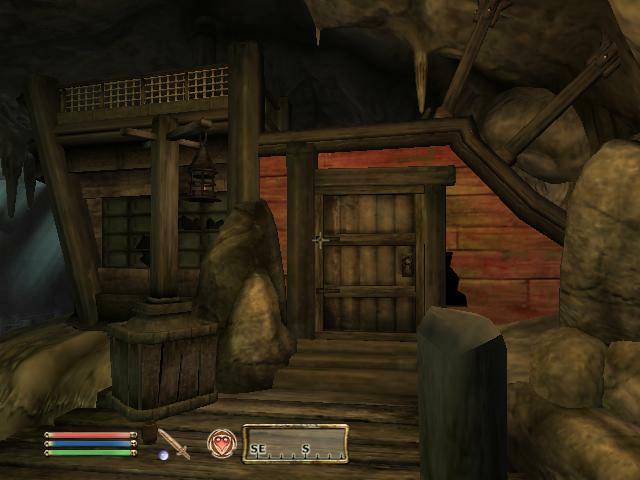 Oblivion is a single player roleplaying game released for the PS3, PC and Xbox 360. It takes place during a medieval era in the province of Cyrodiil, on the continent of Tamriel. 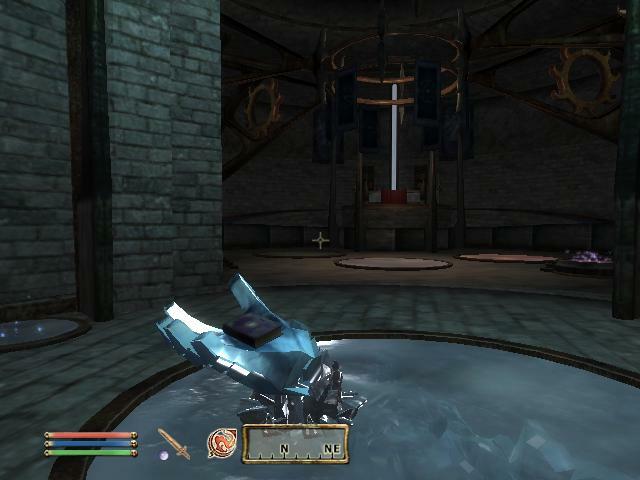 You start the game as a prisoner in the Imperial Prison, but quickly escape when the Emperor and his bodyguards need to use a secret passage in your cell. The Emperor is under attack from assassins and needs to escape the Imperial City. 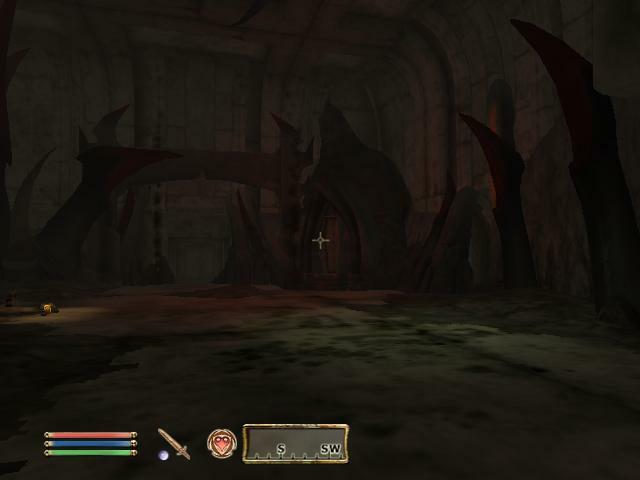 You are allowed to follow them through the passage, and will learn the basic controls along the way. Ultimately the assassins will succeed, but not before the Emperor gives you the Amulet of Kings, a magical amulet that the assassins are after. The remaining bodyguard sends you off to give the amulet to the head of his order (The Blades) who is posing as a monk in Weynon Priory. 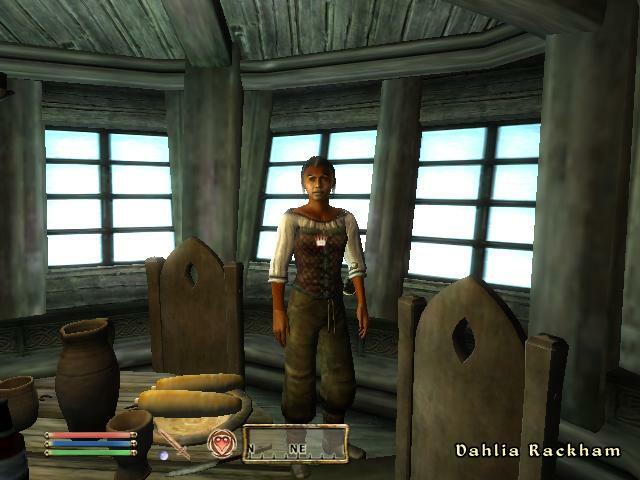 Once you escape from jail however, you do not have to follow the Main Quest. There are many other storylines to follow, the main ones being for mages, fighters, thieves and assassins (not the ones who killed the Emperor however). But don’t worry about which to follow – you can do all of them. The game is extremely free roaming , and you can do almost anything you want. 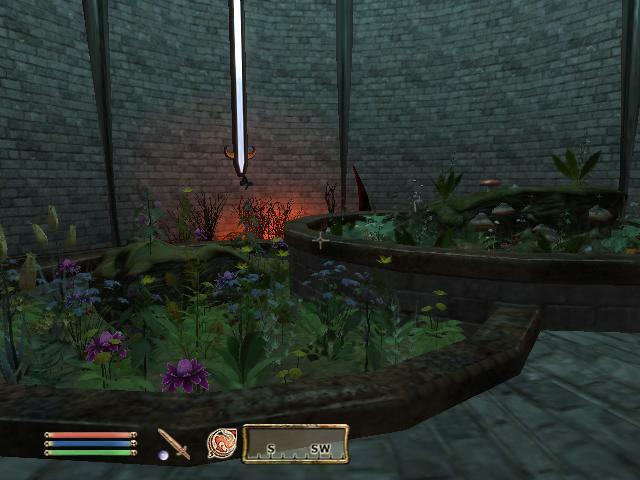 Kill everyone in a town, explore every dungeon, buy a house and fill it with watermelons. 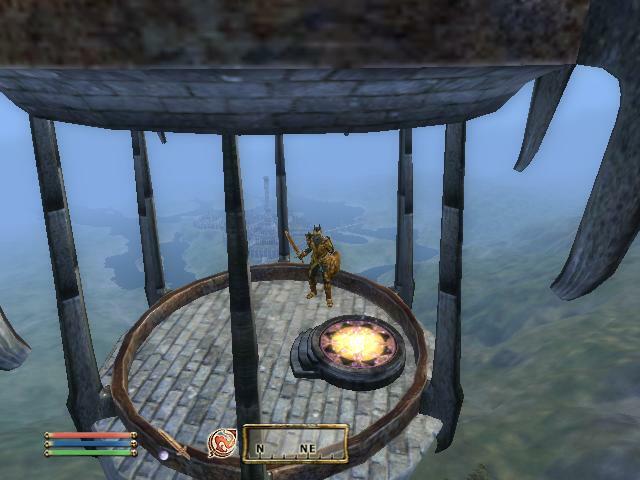 If you follow the Main Quest, soon portals to the realm of Oblivion (a parallel universe controlled by Daedra) will begin popping up. These are created by the “bad guys”, who are working for the Daedric Prince of Destruction, Mehrunes Dagon, who wants to invade Nirn (the world Tamriel is in). You must go into them to remove the gate’s Sigil Stone and shut it. This can become boring after a while though, and you don’t really need to shut them all (only ones directly involved with a quest). 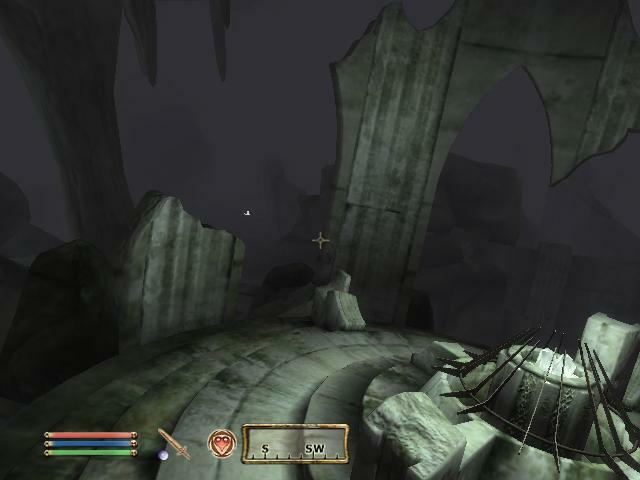 The great thing about Oblivion is its open-endedness (is that a word?) and it’s “do what the hell you want” attitude. But be careful about committing crimes, as the guards are all psychic and pop out of nowhere to arrest you. You can either pay a fine (which can be very expensive, and once it goes over 5000 coins you lose this option), go to jail (might sound like a nice idea, but your skills can be damaged if you spend too long in there) or fight the guard (this will just increase your bounty if you kill him though, so this is only a good idea if you plan to run for it ). Oh, and the guards are inhumanly strong too. But they have some nice gear for low-level characters. 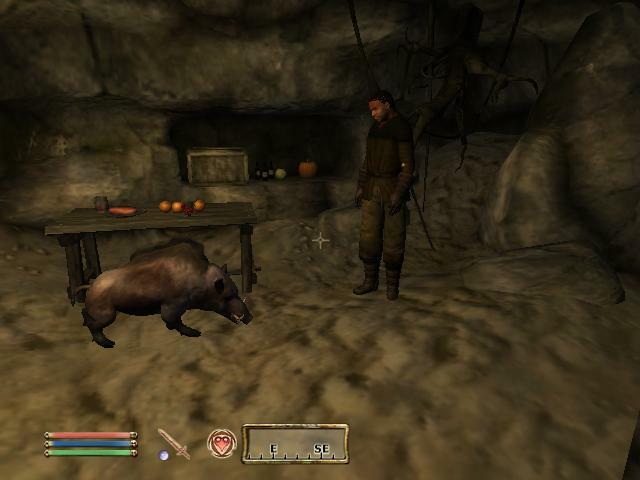 The levelling system in Oblivion is unique, but could be better. At the start of the game you pick out your character’s favoured skills. As you get better in these skills, you begin to level up. You must sleep to go to the next level, and when you wake up you’ll have the option of increasing your attributes (my favourites are strength and speed). You can increase three attributes, and you can receive bonuses by training skills which use a certain attribute (up to 5 points). However, every time you level up, so does the world. That means every monster will be a little bit stronger, and every dungeon will get a bit more loot. It’s a good idea in theory, but it usually works out as you becoming stupidly rich after one dungeon dive, being able to kill most non-levelled things in one hit and having every random bandit in the game equipped with supposedly “rare” Daedric armour and weapons. Not to mention those stupid ogres, who take like 100 hits to kill, getting even stronger. All the NPCs in the game have a schedule for the week. So that means that most of them don’t spend all day standing in the same place. They go to bed, have dinner, chat with others (although these conversations are usually very badly put together), visit friends, wander around, pray at the chapel, and sometimes visit other cities (often being killed along the way, because roads are actually one of the most dangerous places in the game). The game was advertised as having ‘radiant’ AI, but a quick search on YouTube displays how stupid NPCs really are. Nevertheless, they could always be worse. Important characters who are essential to completing a quest can be marked as ‘essential’. Essential NPCs can’t die – when their health reaches zero they simply fall unconscious for a moment. These NCPs can be identified by the crown icon that appears in place of the normal talk icon when you hover over them. 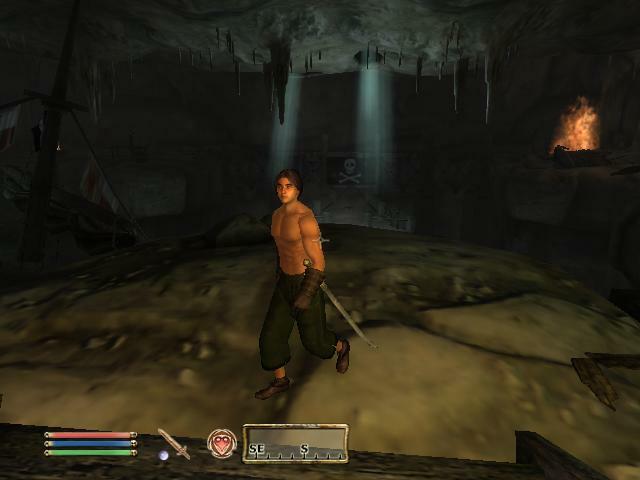 The PC version of the game has access to the Console, which is activated usually by pressing the key to the right of ‘1’ . It will pause the game and you can type in console commands, which are sort of like cheats but can help get rid of bugs. Be careful while using it though, because it can screw up the game. My first character is level 93, has resurrected a bunch of NPCs who are meant to be dead (thus, they don’t function properly), has a black body but a white vampire head and has disabled the entrance to his Bravil house. Imperials/Cyrodils: This race of men are the creators of the Empire. Their homeland is Cyrodiil. They are shrewd traders and have conquered all of Tamriel with their armies. Nords: This race of men are from the snowy province of Skyrim. They have a natural resistance to frost and are very strong. Bretons: This race of men are gifted magicka users, as they were a result of mer breeding with men. Their homeland is High Rock. Dunmer/Dark Elves: This blue-skinned, red-eyed race of mer are tough and make adept mages, but their distrustful nature has prevented them from gaining more influence. Their homeland is the province of Morrowind. Altmer/High Elves: This tall, golden skinned race of mer are strongly gifted in the arcane arts. Their homeland is the Summerset Isles. Bosmer/ Wood Elves: This race of mer are from the woodland province of Valenwood. They are short, and are skilled with a bow. Orsimer/Orcs: These barbarian beast people hail from the Wrothgarian and Dragontail Mountains, and have claimed a section in the province of High Rock called Orsinium as their homeland. They are brave and have endured many hardships. 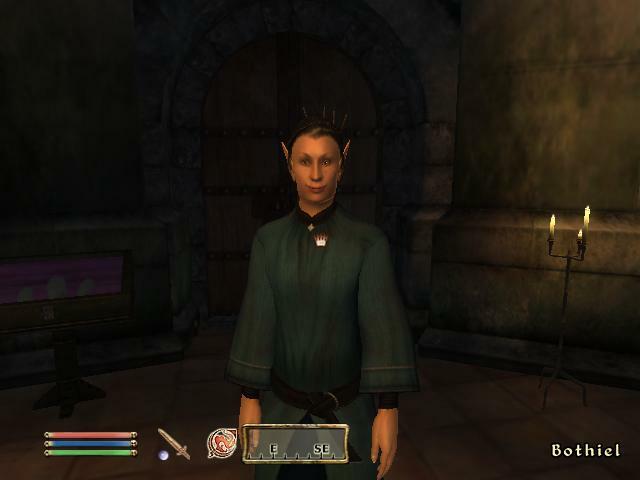 Legend has it that they were originally elves, until the Daedric Prince Boethia “ate” their god Trinimac and turned him into Malacath, and his faithful into orcs. 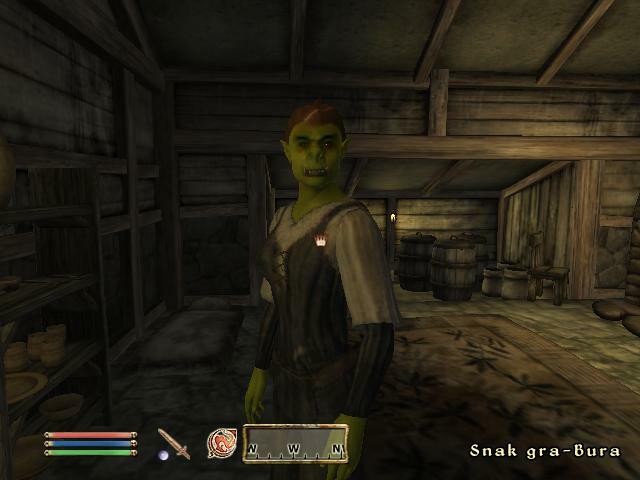 Argonians: This reptilian beast race is from the swamps of Black Marsh. They are immune to poisons and can breath underwater. They have a special connection to the Hist trees. Khajiit: This catlike beast race are from the deserts of Elsweyr. There are many different breeds of khajiit, based on the positions of the two moons at the time of their birth. These range from the Senche-raht, giant sentient cats used as mounts, to the almost-human Ohmes. 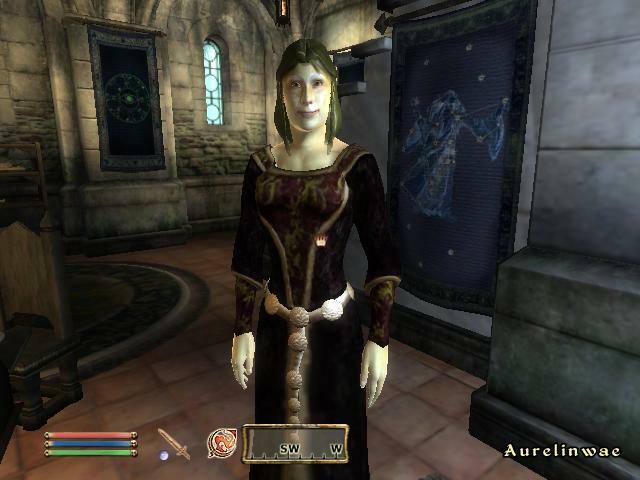 The only breed encountered in Oblivion is the Suthay-raht. Redguards/Yokudans: This dark-skinned race of men are the most naturally talented warriors in Tamriel. Originally from the far-off islands of Yokuda, they now call the province of Hammerfell their home. You might also hear of Ayleids (Wild Elves) and Dwemer (Dwarves). These races are extinct. 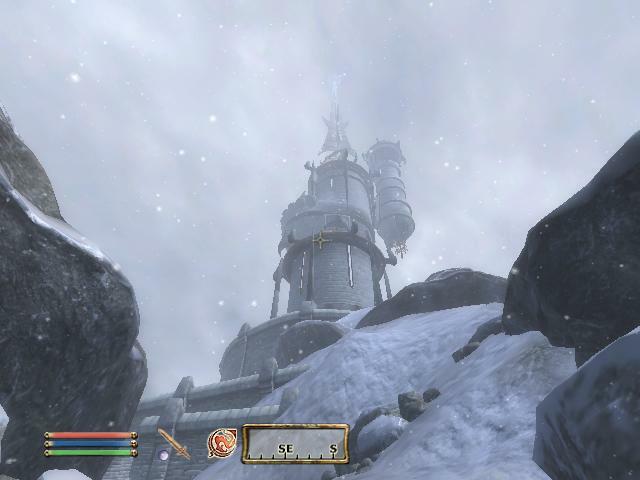 Ayleids originally inhabited Cyrodiil and their ruins can be found all around the landscape. They were very advanced in the arcane. Dwemer were the opposite. They’re not small like traditional dwarves. They lived on the volcanic island of Vvardenfell in Morrowind and were technologically advanced, but didn’t believe in the power of the gods (which angered their very religious Dunmer neighbours). They aren’t encountered much in Oblivion, but their armour can be found. I think I’ve gone into enough detail for one post. My next one will be about the official downloadable content. If I’ve left something out that you’re curious about, leave a comment. Or you could head over to the Unofficial Elder Scrolls Pages wiki and look for your answers there.